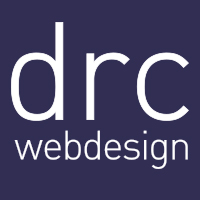 Welcome to DRC Web Design, a leading web design agency in Mississauga, who is willing to help anyone who needs a new website or simply wants to refresh their old one. If you are a Mississauga-based business of any size, you will obviously know how important a good looking website can be for a local business. They help you engage with and attract new customers and drive sales for your products and services. As a web designer in Mississauga, we know how to design a website that attracts customers to buy from you at a substantial rate. At DRC Web Design, we provide web design services for the Mississauga area and we know exactly what your website needs to thrive and allow you to become a leader in your local community. For example, you might have come across us by searching “web design Mississauga” – this is because we have created a website that not only looks good but also ranks highly for the keywords we’re pursuing. We take advantage of tried and tested search engine optimisation methods during the web design process so that you have the right foundations from the very beginning. Need an expert web designer in Mississauga? Contact us on 613-818-0467 for your free quote and more information.